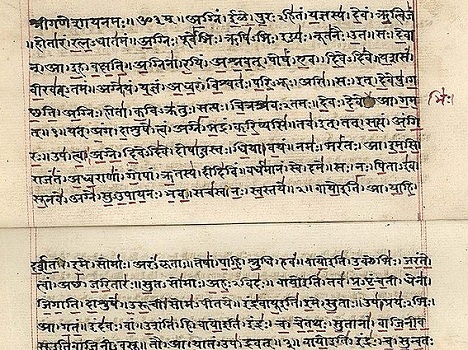 The striking similarities in Sanskrit and Russian indicate that during some period of history, the speakers of the two languages lived close together. When was the last time you had a shot of vodka? Well, next time you have one, remember that this Russian word has its origins in the Vedic Sanskrit word for water – udaka. The classical Sanskrit word for water is jal and is familiar to most Indians. But the fact that the Russian word for water voda is closer to the Vedic Sanskrit word points to the close – and ancient – kinship between the two languages. While it is commonly known that both languages belong to the Indo-European family of languages, most people believe the relation between Russian and Sanskrit is as distant as that between Persian and Sanskrit or Latin and Sanskrit. Linguist and author W.R. Rishi writes in his book ‘India & Russia: Linguistic & Cultural Affinity’ that Russian and Sanskrit share a deeper connection. Rishi points to another feature of the Indo-European languages – the power to form compounds of various words. Such compounds have been carried on from Indo-European to Greek, Sanskrit and Old Church Slavonic. The origin of the Russian word gorod (Old Slavonic grad) meaning ‘city’ can also be traced. In ancient Russia and in India the cities were built to serve as forts for protection and defence against aggression from an enemy. The corresponding word in Hindi is gadh which means ‘fort’. In modern Russian the suffix grad and in modern Hindi the suffix gadh are used to form names of cities: such as Leningrad (the city of Lenin), Peterograd (the city of Peter) and Bahadurgarh (the city of the brave). The two languages have two broad similarities. One, Russian is the only European language that shares a strong common grammatical base with Sanskrit. What explains the similarities? Vedic Sanskrit was spoken as late as 300 BCE but its antiquity may stretch back thousands of years from that date. Russian may either be the result of ancient Indians taking their language and culture from the banks of the Saraswati river to the banks of the Ob. The discovery of Shiva statues in Central Asia and Russia points to the spread of Hindu culture far beyond the Indian heartland. There is the other conjecture that Vedic Sanskrit was introduced to India by blond Aryans who originated from southern Russia. This idea is popular with Europeans, including Russians, despite clear evidence that the current belief in an Aryan invasion of India was the result of a body of lies developed by English and German scholars. While DNA evidence is gradually chipping away at the notion that Aryans brought civilisation to India, scholars such as Shrikant Talageri have analysed the Vedic texts and showed how the older books talk about places in eastern India whereas the later ones provide descriptions of the geography of northwestern India. This can only mean one thing: the ancient Indians moved into Central Asia and perhaps then on to Europe. While it may take decades to settle the issue one way or the other, it is a fact that Vedic Hindu civilisation was spread over a great area. According to Bulgarian linguist Vladimir Georgiev, geographical names are the most important source for determining how a group of people acquire their ethnicity. This can originate through a process of self-identification or it could be the result of outside identification. Georgiev says the most stable – or longstanding – names are that of rivers. “But in order to preserve the names it is necessary to maintain the continuity of the population, transmitting these names from generation to generation. Otherwise, new people may come and give it their own name,” he says. Georgiev illustrates that in 1927 a detachment of geologists "discovered" the highest mountain in the Urals. The mountain was called Narada by the local population, and interestingly the ancient Indian epics describe the great sage Narada as living in the north. But since it was the 10th anniversary of the October Revolution, the geologists decided to mark the event and rename the mountain as Narodnoy – or People. And that’s what it is now called in all geographic references and on all maps. Luckily, many other words remain unchanged. Russian scientist and academician AI Sobolewski provides a list of Russian water bodies with Sanskrit names. In his article ‘The Names of the Rivers and Lakes of the Russian North’, he gives the names of the following rivers and lakes: Vaja (from vaja - strength), Valga (from Valgu - simple), Ira (a refreshing drink), Karak (karaka - water jar), Cala (black), Lala (lal - play), Padma (lotus), Punk (silt), Sagara (ocean), Sarah (sara - juice), Sukhona (suhana - easy) and Harina (goose). The uncanny similarities between Sanskrit and Russian clearly indicate a close kinship between the two nations in the distant past. That could explain why Indians and Russians get along so easily compared with any other nation. For, both nations are sisters under the skin. As the science of language and DNA studies progress, more secrets will tumble out, providing us a better picture of the past.